Students not matched with a school should attend the Round 2 Fair to meet with school representatives and assess their options. It's a nail-biting annual ritual: Roughly 78,000 8th-graders received their high school decision letters this week. This year for the first time all students received a match. Those who didn’t apply in Round 1 of high school admissions, or weren’t matched with a school they ranked on their applications, were placed at a school based on distance from their home and interest area, according to the Department of Education (DOE). The percent of students receiving their first choice increased slightly this year to 45 percent (34,323), compared to 44 percent (33,439) in 2018. The overall number of students participating in Round 1 of high school admissions also increased to 78,326 this year, up from 76,712 in 2018. A total of 5,830 students received an offer to one of the city’s nine specialized high schools; 4,798 received an offer to one of the eight specialized high schools that admit students based on the Specialized High Schools Admissions Test (SHSAT) and 1,432 students received an offer to at least one program at LaGuardia. There was very little change over last year in the amount of Black and Latinx students receiving specialized high school offers, not including those who will be admitted through the city’s expanded Discovery program, which extends offers to some students who just missed the exam cut-off. Read more coverage at Chalkbeat. Here are our tips for what to do next. I’m happy with my match. Congratulations! If you were offered a seat at a specialized high school too, and you’re not sure which school you like more, then consider attending an open house for accepted students. 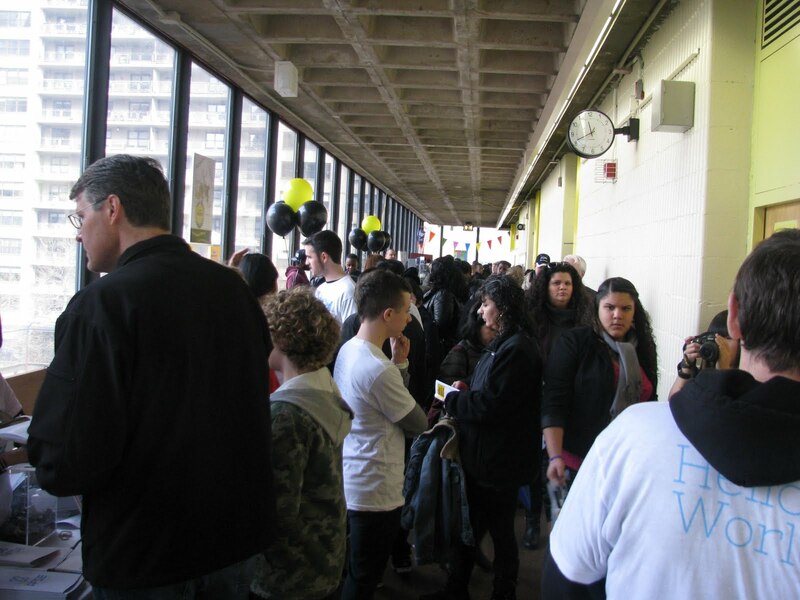 The specialized high schools typically host events before the acceptance deadline. If the other school you were matched with is not hosting one, ask if you can stop by to take a quick tour or sit in on a class. Make sure to accept your Round 1 offer by April 5. I'm not happy with my match. It’s hard when you don’t get your top choice, but that doesn’t mean the school you got into isn’t good. Take a fresh look. If it has an open house for admitted students, attend, or ask the school if you can visit one morning for a couple of hours. Gave it another look and still are unhappy? You can apply to a school with open seats in Round 2, but be aware that if you are accepted to another school, you forfeit your Round 1 match. Current 9th-graders who are offered a 10th-grade seat during Round 1 or 2 have the option of remaining at their current school. Some schools with Round 2 spots are hosting open houses prior to the application deadline. Check out the DOE's calendar. Attend the Round 2 high school fair. It is scheduled for March 30 and 31, 11 a.m. – 2 p.m. at the Bayard Rustin Educational Campus in Manhattan. Check out our picks from the Round 2 list. Round 2 applications are due by Friday, April 5. Don’t like any of the schools in Round 2? Then don’t participate in it. Round 2 is optional, and unless you identify a school with open seats that you absolutely like more than your Round 1 match, our advice is don’t apply. Whether or not you keep your Round 1 match or apply in Round 2, you still have the option to appeal, but that process doesn’t take place till later in May and there are no guarantees. New York City is the best high school of all. Take heart. No school is perfect, and wherever you go, there are so many ways to enhance your education and fill in the gaps for free. Throughout New York City there are a ton of opportunities both during the school year and over the summer to do internships at museums and with elected officials, conduct research with scientists, perform with theater troupes, learn engineering and robotics, get academic help and much more. Check out our Free Programs guide. The Round 2 Application Guide is available in multiple languages on the DOE's website.